» Snapchat viewing may not be so secret anymore. May be launching ad targeting based off what you view in Discover. Snapchat’s Advantage As it tries to take on Facebook for advertising dollars, we have to realize that Snapchat has a major advantage over Facebook- its core and native demographic didn’t just start using social media in college. It’s rooted into their whole being. Snapchat’s main audience doesn’t know life before social media, just as the generation before that doesn’t know life without computers. Targeted Ads Snapchat plans to let advertisers target ads within publishers’ channels in the app’s Discover publisher portal based on the specific content people are checking out within Discover. Snapchat has said it plans to roll out this interest-based targeting in the second quarter of 2016. Why is this important? Interest-based targeting would improve brands’ abilities to pinpoint their ads within Discover because it will aim ads based on the actual content people are checking out, instead of targeting the ads based off the channels. Competing with Facebook Snapchat has several plans in place to build its ad business in ways that would emulate Facebook’s. These plans could include improved ad targeting based on what content people are checking out in Snapchat’s Discover publisher portal, as well as the sites they’re browsing and searches they’re conducting outside of Snapchat. Adjust Your Media Mix Stories are probably the biggest hit to come from Snapchat since its launch in 2011. It contributes more than 7 BILLION daily views. Stories are a collection of snaps from a user than can be viewed for 24 hours as many times as the user would like, rather than a few seconds. Live events and Snapchat work perfect together. 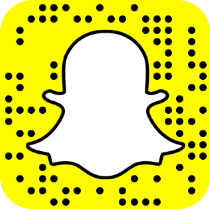 Why Snapchat may make sense for you To push through the clutter of social media feeds, Snapchat offers an instant and quick way into your consumers’ (especially the millennials) hands via mobile. Stories can be a great place to showcase your storytelling skills. There are also opportunities in the Discover section. Partnering with media partners on the platform can be a valuable branding experience. What is next? Snapchat’s ad business is less than 18 months old, a baby in many ways. Many advertisers have just adopted a test-and-learn strategy for their Snapchat campaigns. If Snapchat can prove effectiveness, then advertisers are likely to be more comfortable spending money on its ads.